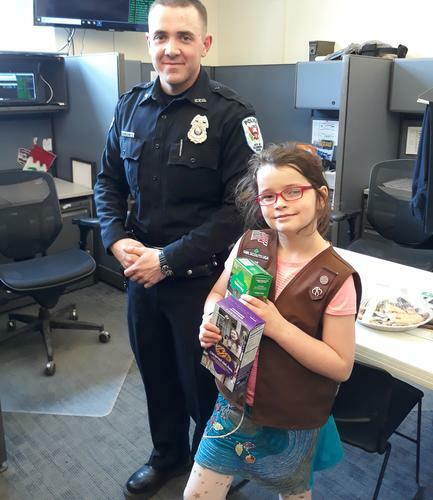 Brownie Niamh Dickens, of Blue Hill Girl Scout troop 251, delivered cookies to first responders. People wanting to support the Girl Scouts, without the calories, were able to purchase and donate cookies to a first responder department. Niamh and her mom, Beth Dickens, hand delivered cookies to seven departments in Bar Harbor, Blue Hill, Bucksport and Ellsworth.